The band is from Canada, and formed as many bands do; with the intent of doing covers of their favorite bands - in this case Kyuss. After some time and a name change (originally being called Green Machine) they started writing original songs and put them onto the EPs Reproduction and Slaves To Fashion. Many of these songs made it onto their first LP, Blue Sky Mind, released in 1996. They got a record deal, and followed these releases with seven full-lengths, with two being released this year alone. Their sound is often equated with that of Black Sabbath, and for good reason. Out of all the bands that are named the followers of the group, sHEAVY is by far the closest representation I have heard. Their music (more in the beginning of their career) is slow and methodical, and the singer, Steve Hennessey, has an oddly high-pitched/almost winy voice ala Ozzy Osbourne. While their lyrical content isn't all about horror and death, there still are plenty of references to the occult, or demons, or doom; negativity isn't just what the group is all about. In their more recent releases, The Golden Age of Daredevils, Disfigurine, and to a certain extent The Machine That Won the War, has seen the band's sound shift into a more standard, groove-laden, stoner style. It's still good, but it's not what the band started with. My favorite albums are in the group's early years, The Electric Sleep, and Celestial Hi-Fi (and to a certain extent The Machine That Won the War) are my favorites. I think Blue-Sky Mind is just ok, where the band was discovering their sound, and Synchronized is another strong effort, but I find Republic? to be downright boring. The Machine That Won the War is the beginning of the new sound, as I stated above, that was continued on with the two releases this year. About the two releases in 2010, the band had planned to release Disfigurine, as it did, but The Golden Age of Daredevils was a bit more impromptu. The group decided to join in on the RPM Challenge, an open-ended challenge (there is no winner) of artists and bands to write and record an entire albums - at least either 10 songs for 35 minutes - during the month of February. 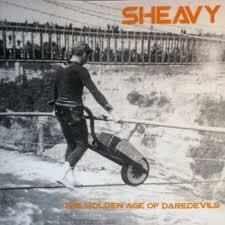 The tracks from this 'competition' were what would eventually be released as The Golden Age of Daredevils. I've heard of other group's taking part in this event, most notably Snailface (another great stoner band, and a side-project from the sludge metal band Kowloon Walled City), and I am a big fan of this project. I wish there was a way to hear more of the music from this event, or on the other end, I wish more of the bands I love would try this all out. I think it's cool to semi-force bands (they force themselves) to put out new music at least once a year. If I had the ability, I would do this. The Electric Sleep - "Virtual Machine" "Velvet" "Electric Sleep" "Born in a Daze" "Savannah"
Celestial Hi-Fi - "Hyperfaster" "Strange Gods, Strange Altars" "Celestial Hi-Fi" "Persona"
The Machine That Won The War - "Demon Soldiers" "Aboard the Mothership" "Lords of Radiation"
Blue Sky Mind and Synchronized, while good, really has no songs that jump out above the rest, and as I said before I did not like Republic? I am also waiting to listen to the 2010 albums a couple of more times, to truly choose the best songs from the pair. At this point they only have one listen apiece. 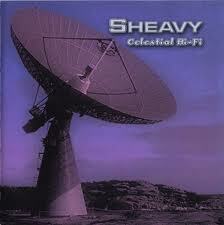 sHEAVY, a relative newcomer for me, is fast becoming one of my favorite bands. Whenever any of the above listed tracks pop up on my iPod, I can't help but smile and rock out. While I don't necessarily agree with the path the band has taken with their newest releases, they are still putting out great music, and I hope 2011 holds three releases from the group!